Dr. Peter Rhee is currently the Chief of Trauma, Critical Care, Burn and Emergency Surgery as well as Professor of Surgery at the University of Arizona. He is also Vice Chair for Clinical Affairs in the Department of Surgery at University of Arizona and holds the Martin Gluck Endowed Chair. 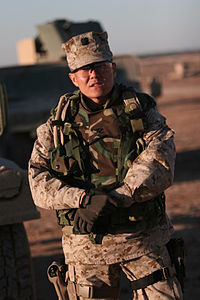 Previously, Dr. Rhee held appointments as Director of the Navy Trauma Training Center; Attending Surgeon at Los Angeles County Medical Center; Professor of Surgery at the University of Southern California; and Professor of Surgery at the Uniformed Services University of the Health Sciences (USUHS). A retired captain in the U.S. Navy, Dr. Rhee also spent 24 years on active duty. On the battlefield, he was one of the first trauma surgeons to be deployed to Camp Rhino, Afghanistan, and recently started the first surgical unit in Ramadi, Iraq. Academically, Dr. Rhee received a MD from USUHS (1987), a MPH in Health Services from the University of Washington (1995), and a Diploma in the Medical Care of Catastrophes from the Society of Apothecaries of London (1999). He completed his internship in surgery at Balboa Naval Hospital (1987-1988) and his residency in general surgery at the University of California at Irvine (1988-1992). Dr. Rhee also completed a Fellowship in Trauma and Critical Care at the University of Washington’s Harborview Medical Center (1993-1995). He is also a member of the American College of Surgeons Committee on Trauma. Dr. Rhee has also authored or co-authored over 290 peer reviewed publications and 20 books and chapters. He also serves on national steering and trauma research committees including the Defense Health Board’s Subcommittee on Trauma & Injury and the Committee on Tactical Combat Casualty Care as well as the Federal Drug Administration’s blood products advisory committee and the Resuscitation Outcomes Consortium’s protocol review committee and drug safety and monitoring board. This award is a reflection of the resident who provides dedication to military medicine both on and off the battlefield & research that advances care of our wounded warriors & is awarded to the 2nd place winner of the trauma competition here at this 2nd annual Society of Military Surgeons competition.